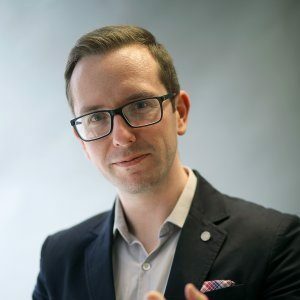 GDPR Summit » » Robert Farrell – Course Director for the Digital Marketing Academy of Ireland. Robert Farrell – Course Director for the Digital Marketing Academy of Ireland. Rob is responsible for the design and management of the academies Digital Marketing courses. He was previously the online lecturer with the Digital Marketing institute and taught MBAs in Dublin Business School. An accomplished conference speaker, Rob judges several marketing and education industry awards and has a masters in Strategic Management. In a hyper competitive environment, IT and Marketing departments have become a nearly indispensable to eachother. While innovation is the goal, many organisations are struggling to keep a pace with changing customer behaviours and evolving business models. In this presentation, Robert Farrell will explore 4 key trends around Customer Experience (CX), AI & voice, manging digital suppliers and control over organizational data.